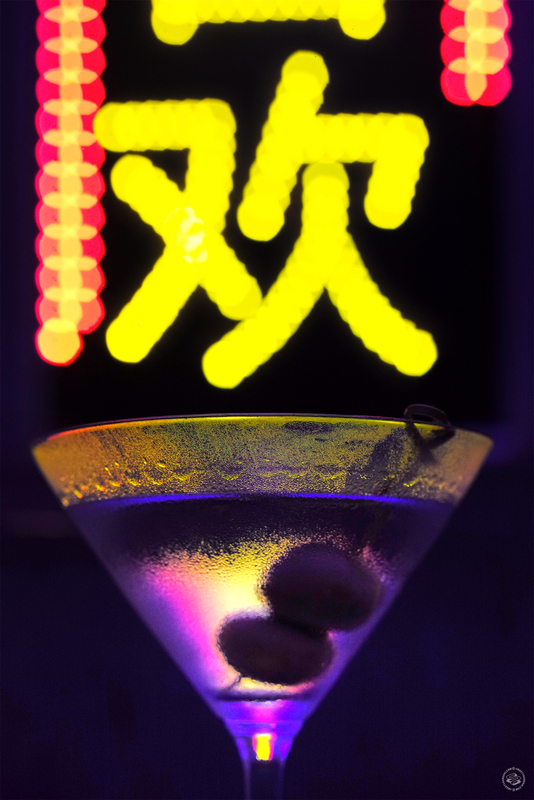 A few new neon nightclubs out there in Shanghai this week. If you haven't had a chance to check it out yet, here's a peek down Below. And also... another one there down at the bottom. Quick Take: Below is a bar / lounge and underground "micro club" in the United Valley mall. Is that a thing? A "micro club"? It is now. 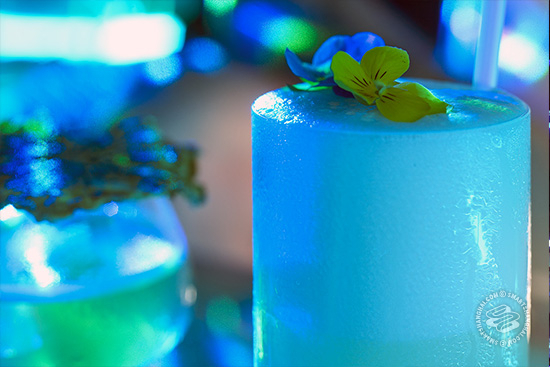 From the makers of Xixi Bistro (among others) and the SNAP parties, comes Below, a low-key cocktail lounge that doubles as a secret-ish nightclub. 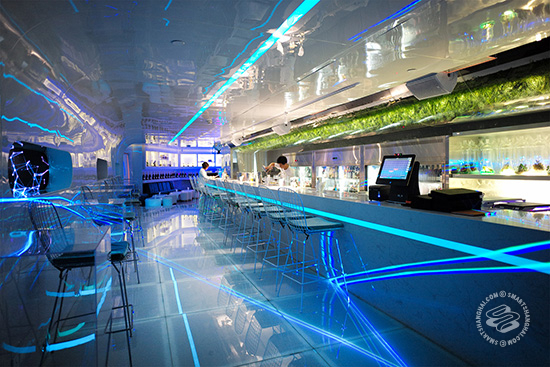 In the space formerly occupied by Tour in the United Valley lifestyle hub on Changle Lu and Shaanxi, the ground level floor of Below is the cocktail lounge. They've got bar and lounge seating for around 20 or so and are serving a tight menu of classics for 70rmb (Negroni, Old Fashion, Mojitos, Martinis, you get the idea). 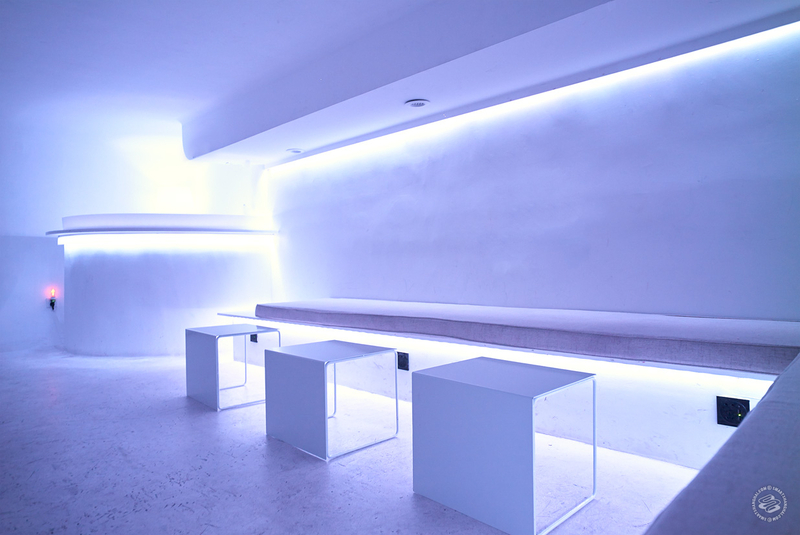 It's a nice spot, and refreshingly straightforward for a cocktail lounge in Shanghai. 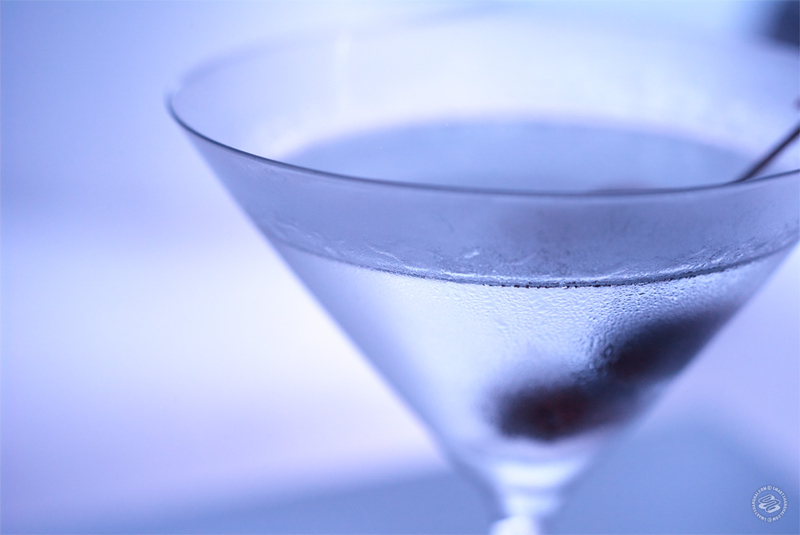 Just the classics served in an environment that isn't overly self-important. Pretty rare these days actually. 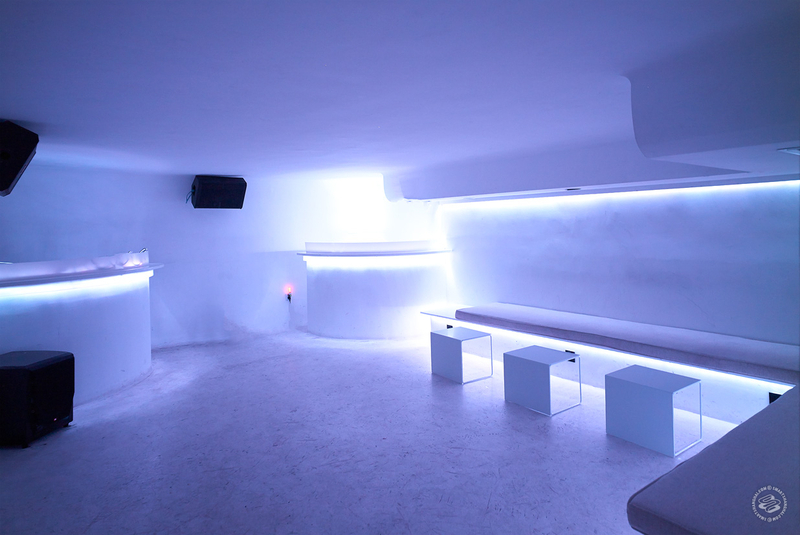 But the real action is "Below", the downstairs area of the club, which is a one-room DJ booth and dance floor completely decked out in white, with accent lighting cycling through the spectrum of Bladerunner neon blues, pinks, reds, and greens. It's definitely unique. Gotta give them that. It's an interesting gimmick. Below is just one room -- a basement storage room, really. 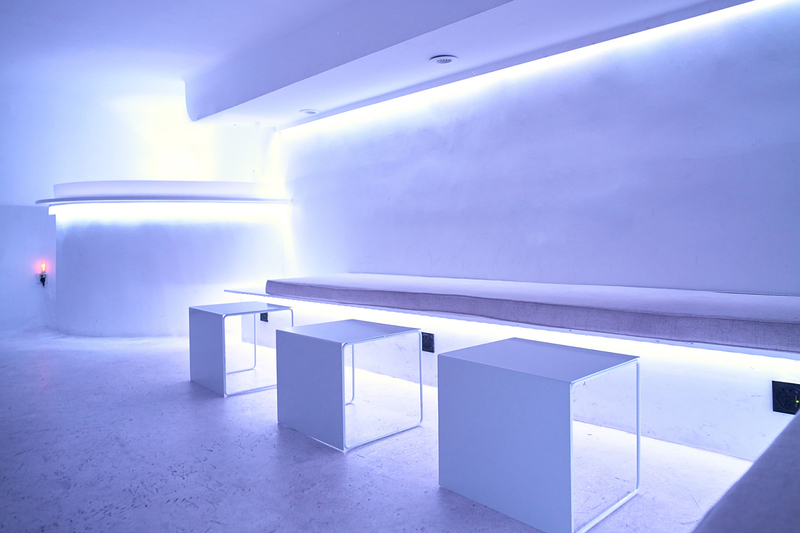 There's a bit of lounge seating along the walls, but it's oriented towards DJ booth and dance floor. It's got a super low ceiling --- I'm 195cms and I had to tilt my head down -- and can only fit under 20 people or so. Every party's gonna be so exclusive. 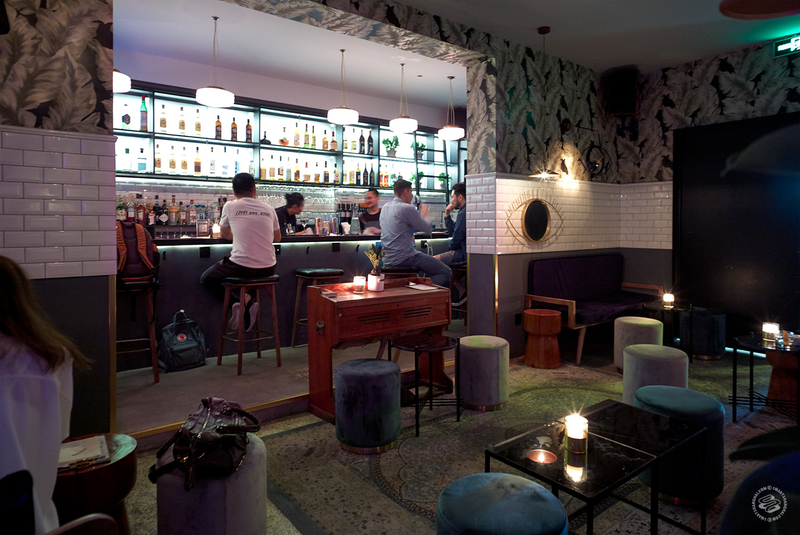 Fitting it into the scene of Shanghai underground dance clubs, the crowd that enjoyed the now shuttered Arcade lounge might find life here. They've already had in a few of their old regulars in to play music. The STD DJs and The Uhhhh of the Ice Cream Truck appear poised for regular spots Below. Generally, maybe, people who might find themselves flipping between Elevator and Arkham but are aging out of it a bit and looking for less involved nights out, Below might be the answer. The cocktails are nice and the prices aren't bad. We love a good gimmick and anything that at least tries to bring something new to the table in the clubbing world. 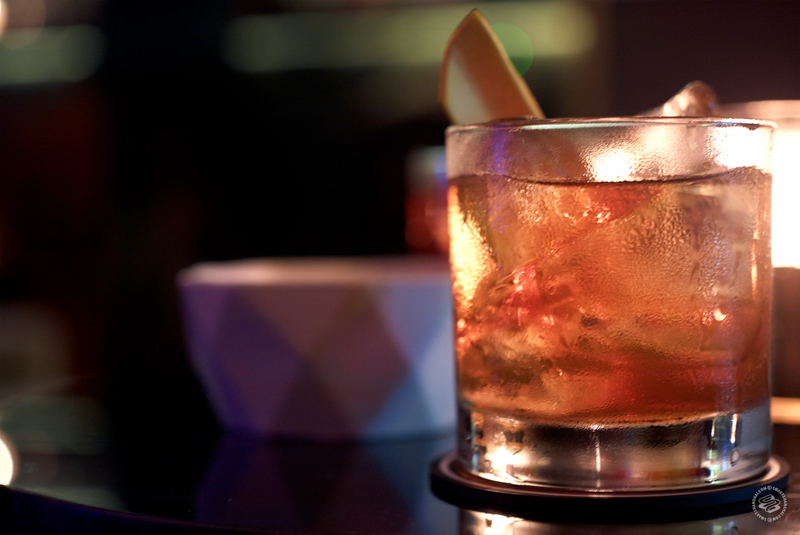 So sure, a tiny, one-room club under a cocktail bar -- why not. Given the scene background of the people running it as well, we can see it shaping up to be a nice little hang-out spot for scene kids. 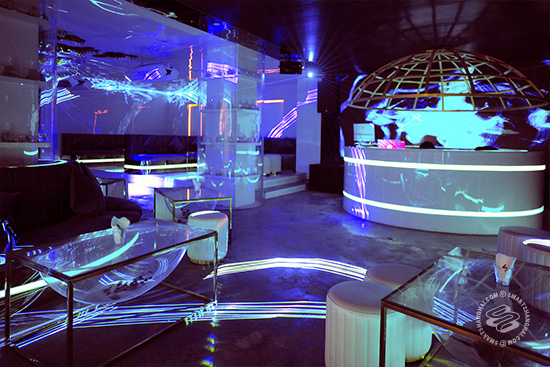 Meanwhile out there on the first floor of Bund 8, a new Tron-inspired club and lounge called I.A Lab. They had us at Tron-inspired so we had to check it out. Less Tron perhaps and more mid-90s Missy Elliott music video-meets-failed mad scientist's garage sale, as it turns out. 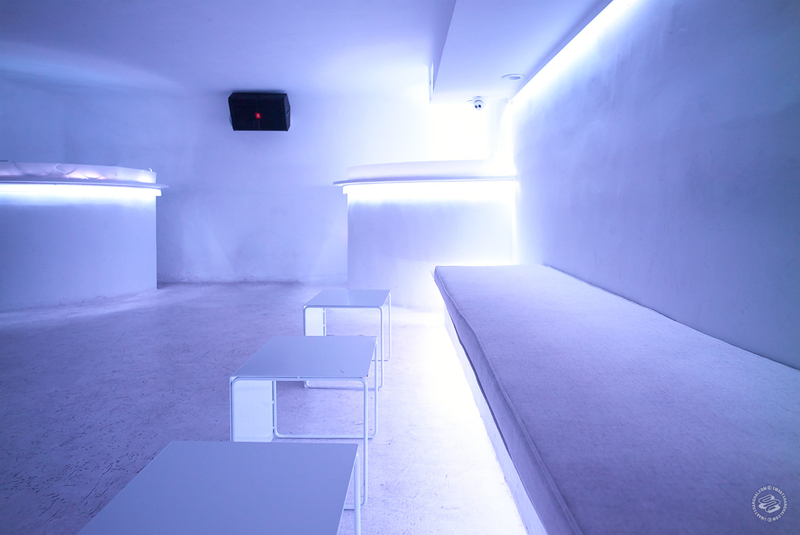 Big, sweeping blue lasers are swooshing all over the place, everything is Puff Daddy white, the walls are lined with hookahas, and mid-00s electro house blares from the sound system. It's one of those places where they had a bunch of shelf space left over from renovations so they put 900 bottles of Moet Chandon in there to make it not seem empty. Pro tip: A wall of champagne makes things seem very empty. They were pushing packages of Chivas or whatever for 20,000rmb but we opted for one of the house cocktails, "Storm Signal No. 1", which turned out to be pine nuts, milk, and sparkling wine. Not even joking. It tasted like a bunch of old jiaos that had been left in a bird's nest over winter.